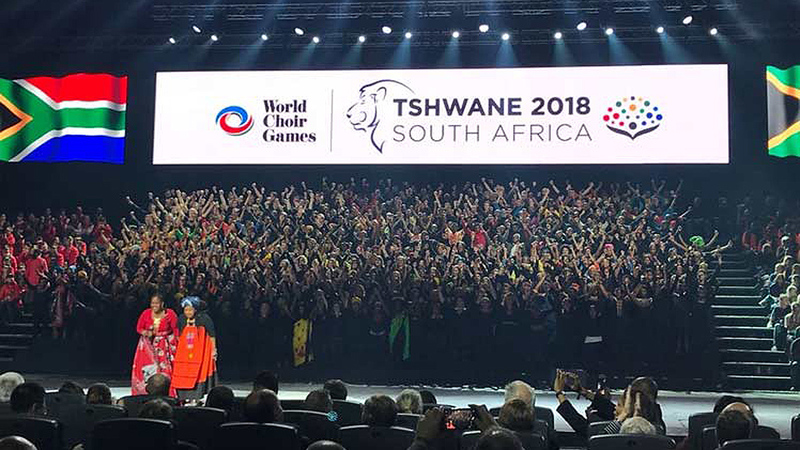 PRETORIA, South Africa — The 10th edition of the World Choir Games, which are held for the first time in the African continent, began with a very high level, beautiful and colorful show held at the Sun Arena of this capital. More than 300 groups from 62 countries from all over the world participate in this meeting that coincides with the 30th anniversary of the German company Interkultur, which since 1988 has been the main organizer of international choral competitions and festivals. 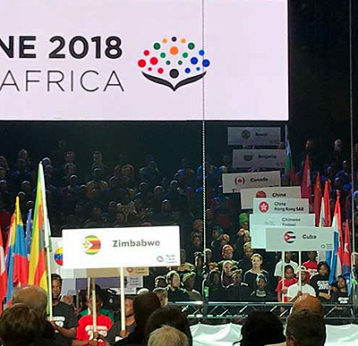 The parade of the flags of participating states, including Cuba for the first time, was part of this activity that offered an overview of African countries’ culture through numerous choral groups, including several from the host country, whose quality is recognized worldwide. The competitions began July 5 in several venues of this capital, the central one in the University of Pretoria, and will last for 11 days during which competitions, concerts, and various choral projects will be combined. On the day, evaluations of performances of non-competing choirs, qualifying concerts, as well as the open competitions and that of champions are carried out. Cuba is present for the first time in these Choir Games and will be represented by the Ensemble Vocal Luna, a group directed by Wilmie Verrier created in 2002, comprising 14 women from 19 to 40 years old, most of them music teachers in that Caribbean country. Vocal Luna will participate in the categories of contemporary music for female choirs and female chamber choirs. Verrier told Prensa Latina that for this group to be in South Africa is a dream both to participate and to celebrate in a nation that has great significance due to the historic relations of friendship and cooperation with Cuba.